I certainly did. 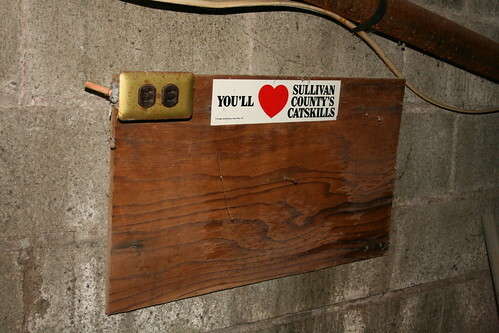 This sticker was adhered to a piece of plywood which was apparently used to secure a dysfunctional electrical socket. Found in the basements near the laundry rooms. I believe this sticker was also seen at other Catskills resorts depicted on this site.